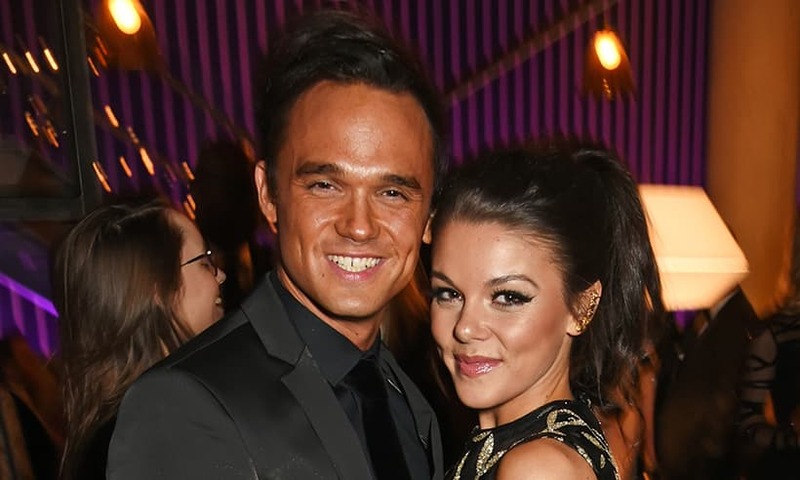 Congratulations appear to be in order for Gareth Gates and his long-term girlfriend Faye Brookes. According to The Sun, the couple are engaged, just four months after they briefly split. The report revealed that Gareth, 34, and Faye, 31, are planning to celebrate their engagement at the end of the month with a party at Manchester’s luxury five-star Hotel Gotham. HELLO! has contacted Gareth’s representative for comment. Last September, Gareth and Faye, who dated for six years, surprised fans when they announced their break-up. The Coronation Street actress told her followers: “Unfortunately @Gareth_Gates and I are choosing to take some time apart. We remain the very best of friends. We’d like to Thank you for all your support over the years x.” Gareth posted a similar statement on his own account. Faye and Gareth first met in 2012 when they starred in Legally Blonde: The Musical together. At the time, the Unchained Melody singer was married to wife Suzanne but the couple split in 2012. Last year, Faye opened up about their relationship to The Sun, telling the publication that she was hoping to marry Gareth. This entry was posted in Affordable Wedding Planning | Wedding-Oregon.com, Wedding Video's | Wedding-Oregon.com, Wedding, Pioneer Church Chapel & Venue - Wedding Molalla OR. | Wedding-Oregon.com. Bookmark the permalink.